I know I am strange, I do not fit in, I am the odd duck, and that is ok. I have many friends, and the other day I felt strange sitting on the curb in front of the Chalas Supermarket in Panajachel, Guatemala. Why, because I was being secretive about my eating habits, I was hiding from my friends. I am the strange duck, when other people are trying to choose restaurants; I am walking into a supermarket and buying food for a sandwich. While they are delighted to explain their wonderful gorgeous rooms, I explain how my room is convenient. I know I am hiding all these ugly duckling habits from my friends, even though I know that eating a turkey sandwich is healthier than eating in a restaurant. Moreover, living in convenient locations saves me time, money, and frustration, whereby, I can remain calm while they are stressed. Sometimes I venture to explain my life, however that quickly becomes stressful, I cannot change people, places or things. If I wanted to brag, I would need to explain how to make bad decisions, and how I splurged, purchased something overpriced, just because I wanted it. One of my friends told me the other day that in the USA you can take classes in "lifestyle training." I was reading about William Shakespeare’s uses of the now proverbial phrase "hoist with his own petard" in Hamlet the other day. It seems to me paying good money for lifestyle training is a good example this as they "fall into one's own trap." 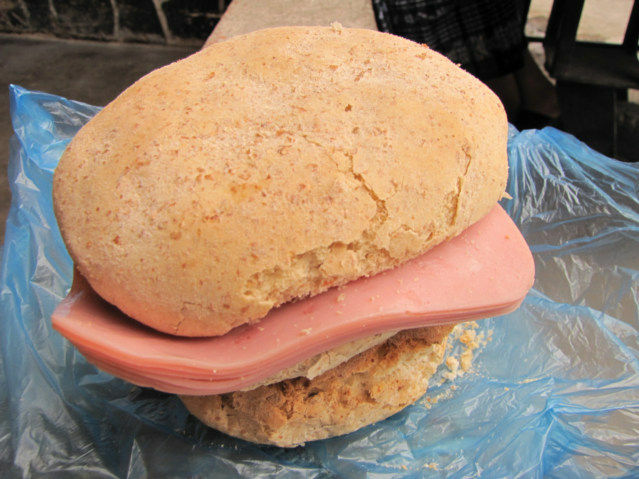 Years ago when I lived in Pana, was staying only 100 meters from the "Super" at Onion Corner, most every day for late lunch or 'dinner' bread, ham cheese, mustard. Etc. I grew up that way, eating at home, from Guatemala City "Paiz" Supermarket, brought non perishables, tuna, canned veggies, V8 juice, instant coffee, had a tiny one burner hotplate in the room, if I wanted a soda at night the tiendas were open to 11PM. I think you are fairly "normal" long term traveler, when I lived in Denmark/Sweden very expensive to eat out, same schtick (thing) supermarket to room, went out to eat only socially or for business. I really do not enjoy people waiting on me, if I make a "mess" will clean up after. I enjoy eating 'sopas' in the mercados as well, locals laugh with me and don't stare at me like some travelers in 'upscale' restaurants. When I lived in apartments in Guate City, Antigua and Xela of course I cooked at home on hotplate most of time. Here in San Salvador buy enormous lunches at the "comedors" selling lunch 1130am - 2pm eat a bit of lunch and save rest for dinner. $3.00 often buys more than I can eat in one sitting. I live here. Coffee in the 'upscale' places in the Malls in San Salvador $1.00 cup, at a comedor 25-30 cents. I am too busy during the course of the day to hang around Malls and Restaurants and rarely go out at night alone, so life is good and cheap and I am content. 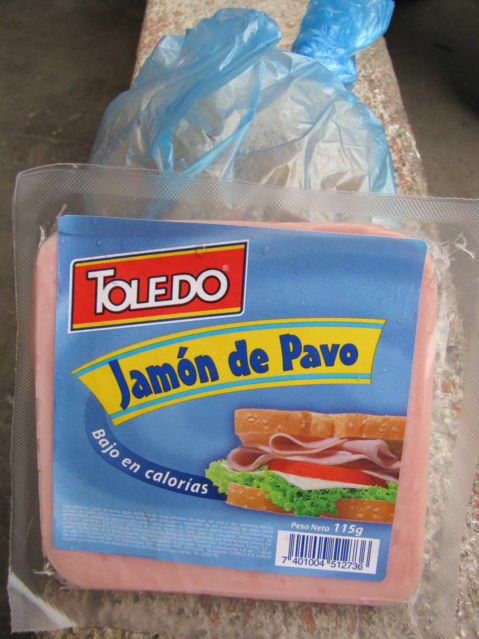 Enjoy your sandwiches, when in city supermarkets buy the ziplock Sandwich bags for bus travel. Saludos. To Asia Bill, most young travellers, ex pats, volunteers, what not have lost the rare art of conversation..the oral tradition..most people I have met "touring" do not even have the patience to listen to locals for more than a few minutes. I first traveled and ex patted at length in the 1980s, we all, locals, ex pats, semi ex pat snowbirds adventure travelers, archeoligists, backpackers, even teh charismatic grifters and grafters, were relationship oriented. People told stories and jokes. We had a sense of humor. I have actually excused myself and walked away from some recent "conversations" where the other other person was on cellphone half of the time. I joined a "Hospitality Exchange" in 1979, mostly we wrote letters!!!! !